Sure, the oceans are huge and mountains are impressively big. And 7 billion people are a lot of humans, but still. As we all live on planet Earth (with a diameter of 12,742km), it is easily forgotten how incredible tiny we all actually are. All we have to do is look up into the sky at night to realize that we are just a speck of dust in a immensely huge universe. Here’s a list that might bring human grandness back into perspective. Jupiter is the largest planet in our Solar System. Ancient Astronomers named Jupiter after the king of the Roman Gods. Jupiter is the 5th closest planet to our sun. The atmosphere of Jupiter consists of about 84 percent Hydrogen and about 15 percent helium, with small amounts of acetylene, ammonia, ethane, methane, phosphine, and water vapor. Jupiter has a mass 318 times greater than the Earth’s and a diameter that is 11 times larger. The mass of Jupiter is 70% of the total mass of all the other planets in our Solar System. 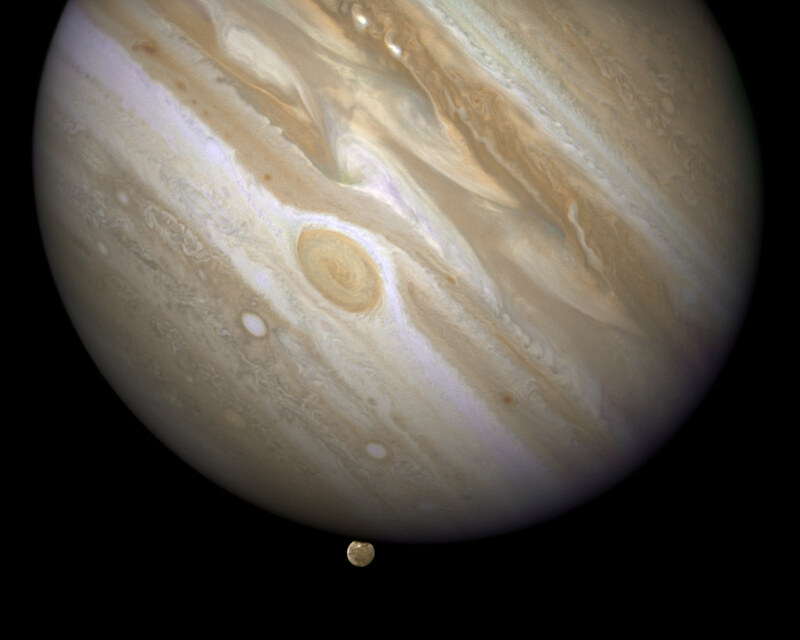 Jupiter’s volume is large enough to contain 1,300 planets the size of Earth. The Planet has 63 known satellites (moons) but most of them are extremely small and faint. You can browse our site reading about Jupiter here.